Traveled in time and across the globe with this one. I’m prone to random thoughts when I read something. ‘Muscle and intelligence’ were the pair that turned up. Quality. Thank you so much, Zoolon. That is a pretty accurate random thought about this piece. I appreciate you taking the time to read and comment. I’m looking forward to your introduction on Sunday, my friend. This makes me think about why we choose to write (although is it even a choice?). Is it cathartic, an exorcism or to please? I’m not sure, yet it does feel a compulsion. An interesting write. I’d say all of the above and then some. Thank you for the read and comment, Sir Chris. Very interesting piece! I loved it! It made me think a lot about THE great writer. This man, conflicted as he was, unsure of what he was, having a Freudian relationship with his mother (love/hate relationship), heavy drinker, met his end his own way,,,by taking the act into his own hands, he regained some form of control (which he felt eluded him throughout his troubled life). He was now in charge, he wouldn’t let life ravage his body or cause him further pain. Full circle, he fulfilled the destiny of his own words and by so doing, he immortalized his soul. His spirit lives on – like his writing style, using “the theory of omission” – in the whispers of the wind, the falling of the leaves, the atmospheric pressure, not known explicitly, but felt implicitly. Wilde your comment upstaged my piece. Lol. Thank you so much for your incredible insight! You just taught me a lot more about him. And if I should ever go first, then you’ll know what I want for my eulogy, we’ll make the circle bigger! Yes, but sadly, he killed himself to “be a part of them forever”,…. and know, that we are already a part of them forever and they, us. The circle is alive and well. 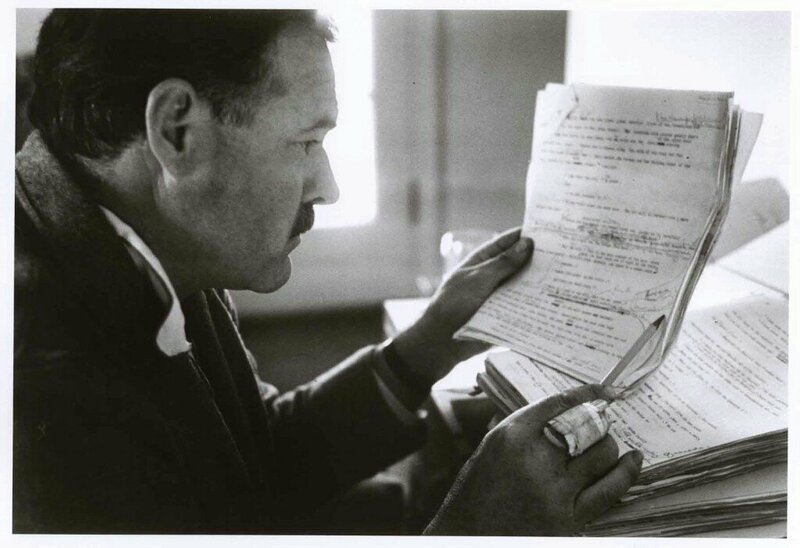 You have a bit of Hemingway in your bones and your blood….let it live on, not die out! I will meet Hemingway there, in a bar. Fight him, just to see how I’ll measure up. Slap me on the shoulder and buy me a drink. Fishing for that one marlin. Down and out, in a policy of isolation, leading to the beaches of Normandy. Thank you, David. I think it’s safe to say that you’ve invented remix poetry. Loved the way you depicted the process of evolvement using Hemingway as a medium. It was absolutely captivating. As Mia said “the restless moments of unrest” – ties in with what I see as things spoken in the silences between words. This complexity of flavours and aromas can’t be swallowed whole but must be allowed to linger on the palate lest we miss subtle high notes of umami flavour. And like others I’ll revisit time and time again to peel off layers and indulge in the revelation beneath. Your writing is transporting, pulls me in with language that makes me stagger. I want to be eloquent, I can’t be. I want to say something wise, profound….I can’t. I can say that this is GOOD; it is so GOOD and I am envious of what you can do and I will read this again and again to keep learning from your exquisite treatment of language. Thank you ever so much! This is a special piece for me that i often recite by memory. One of the few times i was proud of something i wrote. We all learn from eachother. Thanks again! This is phenomenal, AG. It is complete, and each line is perfectly balanced with the others. You both transported and tehtered me at the same time. I really appreciate the kind words, Wulf. Thank you! I find everything I need in your poetry. Still one of my faves. Extraordinary read. A very lovely comment, indeed. Thank you ever so much! A very striking piece, I was especially wooed by the pool part. Thank you so much for taking the time to read this little piece. I appreciate your feedback. I must agree with all of the previous commenters – this is an absolutely incredible piece. The way you were able to express yourself about how it feels impossible to do so has such an impressive subverting quality – it is absolutely profound. You are very generous. Thank you so much. I’m glad you enjoyed it! When I read whatever you write, I learn. Hemingway has long been one of my favorite writers and the more I read him the more I enjoy his work. It’s becoming the same with your writing. “with nothing but a pen & piece of paper to live on. Problem is I’m not a poet ” are such wonderful lines, and you sir, are indeed a poet. Thank you for giving all of these talented writers the exposure they deserve. I’m just an old poet, wuth an old fashioned style, and I love them all.